Reducing methane emissions from natural gas and oil development is a primary industry mission – underscored at last summer’s World Gas Conference, where speakers from all over the world talked about increased methane capture and reduced emissions. The reasons are clear. Fundamentally, our industry is in the business of producing and delivering natural gas, of which methane is the main constituent. Capturing as much methane as possible is smart and efficient from a business standpoint. 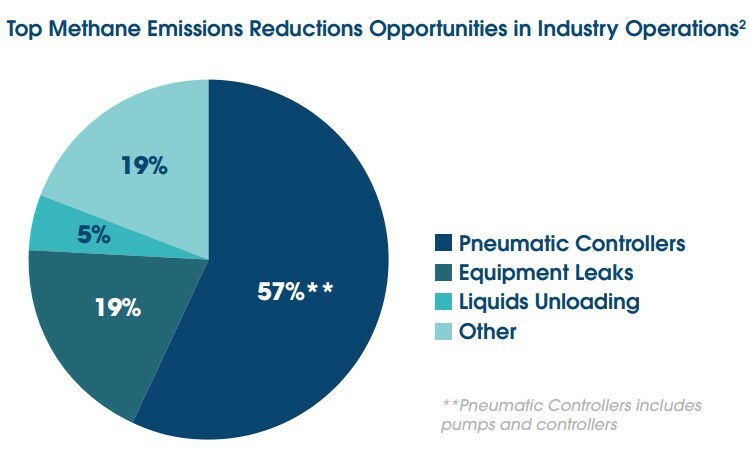 In effect, this is a 45 percent reduction in the rate of emissions per unit of production, further demonstrating industry's continued progress in minimizing emissions while maximizing efficiency in getting energy to consumers. Last fall, EPA announced proposed improvements to the 2016 standards on emissions from new natural gas and oil production sources, which the agency said would streamline implementation, reduce regulatory duplication with state requirements and decrease unnecessary burdens on domestic producers. EPA Acting Administrator Andrew Wheeler called them “common-sense reforms” that would eliminate unnecessary red tape and provide the regulatory certainty industry needs to keep providing safe, affordable energy to American consumers. It's the approach that will work best to ensure supply of reliable, affordable energy for consumers while also reducing emissions.